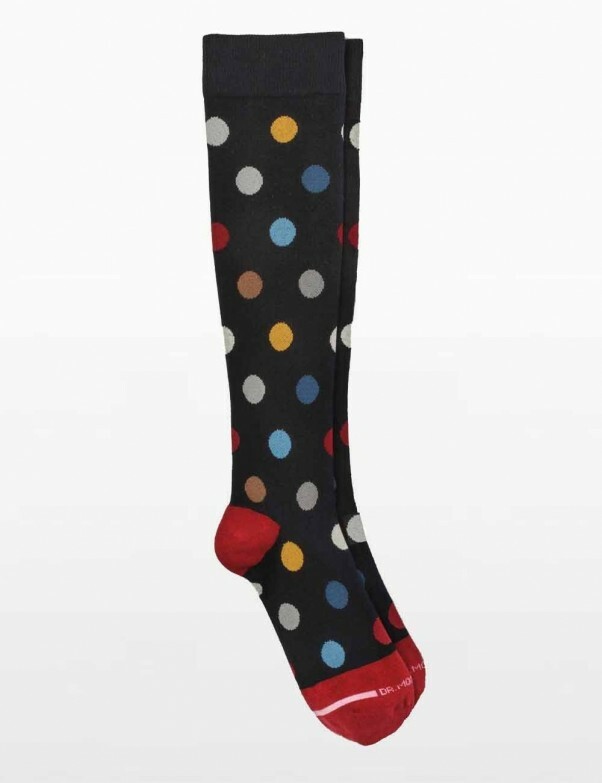 These Spotted compression socks help to reduce swelling and energize your legs, made with a smooth seamless toe for best quality comfort fit. Great for people who are sitting or on their feet all day. Socks with Graduated Support Relieves Tired , Aching Legs and Feet. Non-Binding , Comfort Band Construction, Graduated Compression to help Circulation Reduces Swelling , Energizes your legs , Smooth Seamless Toe for Comfort Fit. These fine quality compression knee-hi is designed for people who sit, or are on their feet all day.